Yesterday at Delta, this in the 1st (Equibase): “CHARBONNET far back early, advanced outside through the second turn, fell, was euthanized and vanned off.” “Fell, was euthanized” – then “vanned off.” I suppose that would be the only way to remove a 1,000 lb lifeless body. Charbonnet was three; this was his first race. The NYS Gaming Commission reports that 4-year-old Hyde Park Express is dead after being “struck by [another horse] while breezing” at Belmont Tuesday – euthanized where she lay. New York stands at 107 (confirmed) dead racehorses in 2017. For shame. This has to end ! This IS HORSE KILLING ! As well as the horses that died on the ttracks and in their stalls, I wonder how many died in the slaughterhouses of Canada and Mexico. What is the true number of racing’s dead this year ? We will never know exactly. Even one is one too many. 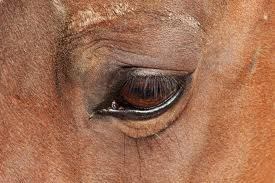 Someone MUST protect our Racehorses — from Day #1 — All Racehorse lives matter from the lower level claimers to the upper levels — their horrific life of abuse leading up to their day of death, is more or less, sanctioned by the owner/trainer AND the racing commissions — Racehorses are forced to live a life of pain and suffering — FOR WHAT? — for $2 bets — Moreover, the ISW (Interstate Wagering) largely controlled by the HBPA rakes in billions — with this kind of money you can potentially buy any politician, journalist or others which could possibly explain how protected this legitimized cruelty is — IMPORTANT : Not ONE CENT of this money is legally mandated to support aftercare for horses — if only they cared about and respected our magnificent racehorses for their entire lives; if only! — clearly, they don’t give a damn about their profit slaves — just the money, AND they will go to great lengths to protect tin — we want our horses protected — more and more our voices are getting heard in the face of this multibillion dollar industry.